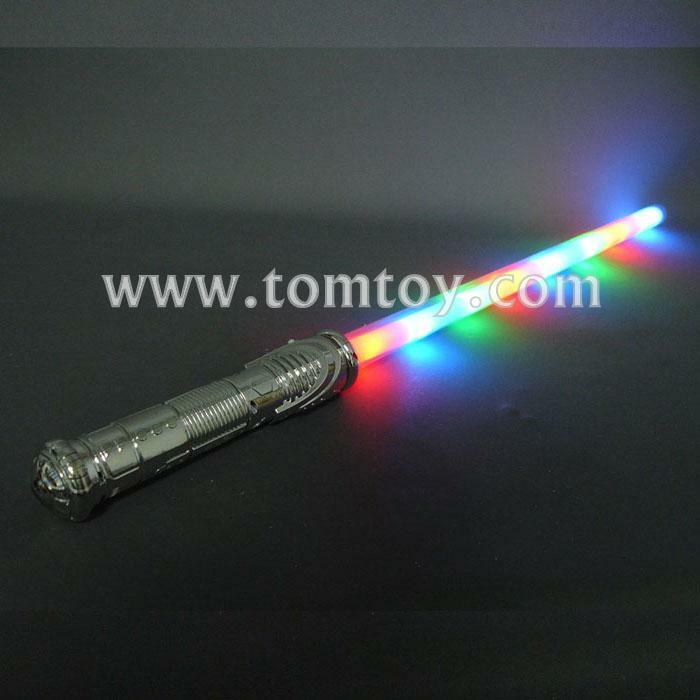 4.Help defend peace in the universe with these Multicolor Lightsabers! Use these Lightsabers to enhance a galaxy defender costume. Not only great for protecting the force, these Swords create massive illumination! 5.There are three settings for the Flashing LED Lights, activated by pressing the button on the handle. Multicolor Lightsabers make great gifts, costume additions and party favors!